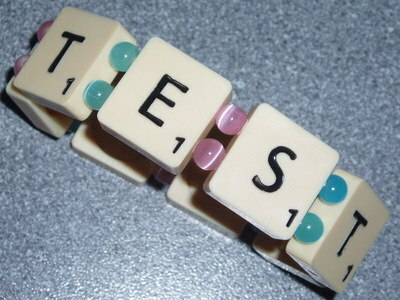 Handmade Stretch Scrabble Letter Word Bracelet. This bracelet is so fashionable and fun to wear. You choose which 8 letters you want. Can be word, name, Personalised, etc. Price from £14. Bracelet with 8 Scrabble Tiles and 8mm spacer beads measures approximately 7.5". Actual spacer beads will be black glass pearls, not coloured beads as shown in photo. This bracelet will fit a medium to large wrist. If you want a word with less than 8 letters, please put a 'blank' in the box or boxes that are not needed and I will use a blank tile to make up the size. 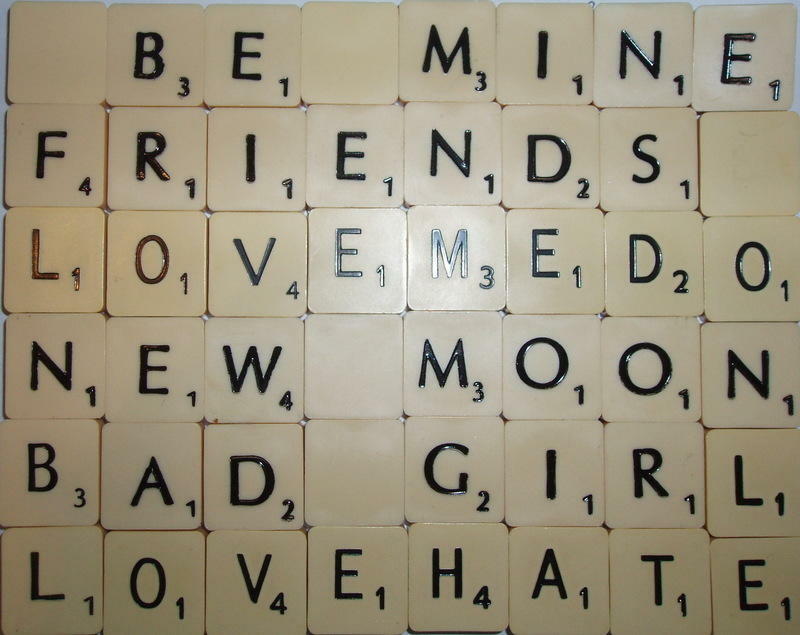 I recycle Vintage Scrabble letters so you will receive a bracelet made using thick round back black letter tiles.